Bring out the best in your team and your pre-event publicity when you print All Star Retro Baseball Flyers and hand them out in advance. 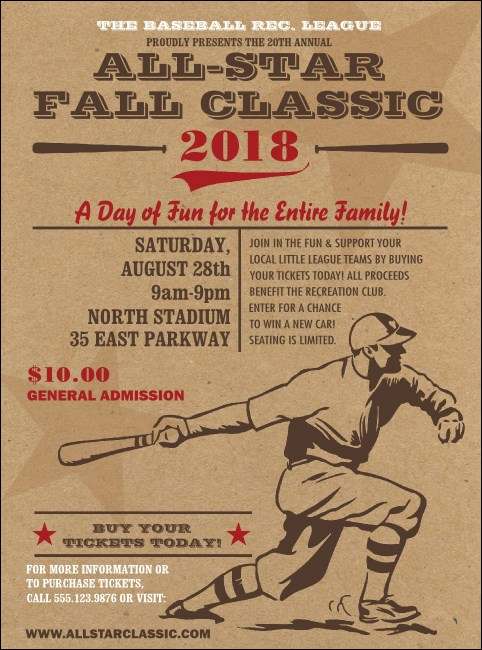 You’ll steal your fan’s hearts like you’re stealing second base with these classic, vintage-looking Flyer templates that feature a ball player who’s about to run to first! TicketPrinting.com helps you load the bases for a grand slam.